We are proud to announce that our last creation is mentioned as one of the top 5 mobile games of the week, as Den of Geek says Here. 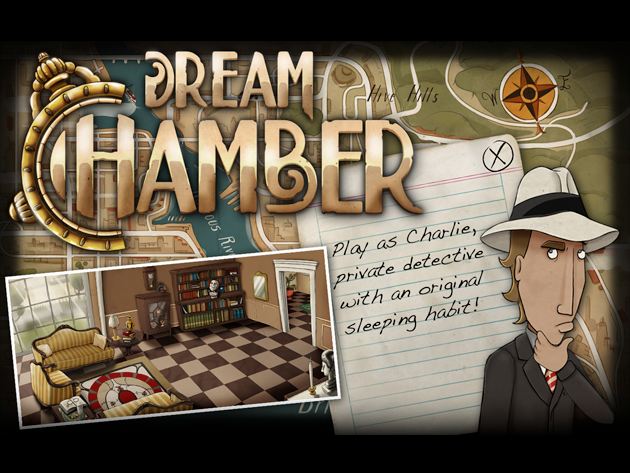 As Robert Bernstein says, the “week theme” was about the change of perspective, and we feel that Dream Chamber is an ideal example about that! Charlie’s got an unique ability, based on his memory; he can visit again the crime scenes, during his dream. His subconscious helps him with investigation, and Charlie can find new clues, particulars which he has ignored. We are glad to see that Den of Geek enjoy this aspect of the game and we hope other users will enjoy this aspect too! 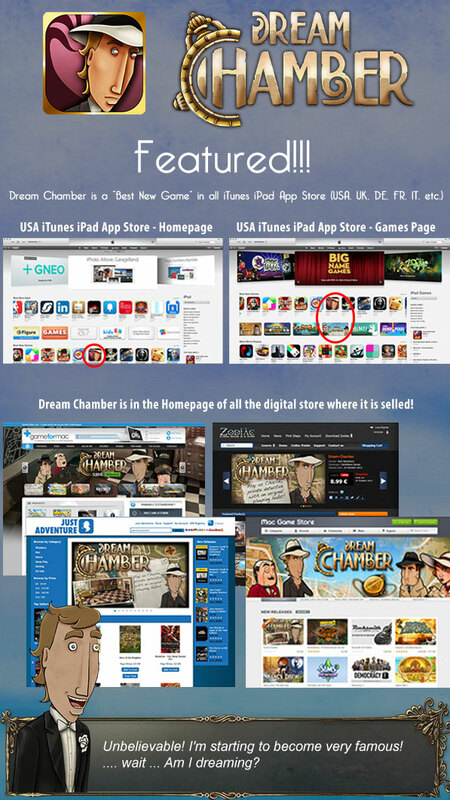 Show your appreciation for Dream Chamber at the official FanPage on Facebook, Here! Maybe you can find a particular… user, like… Charlie?!? 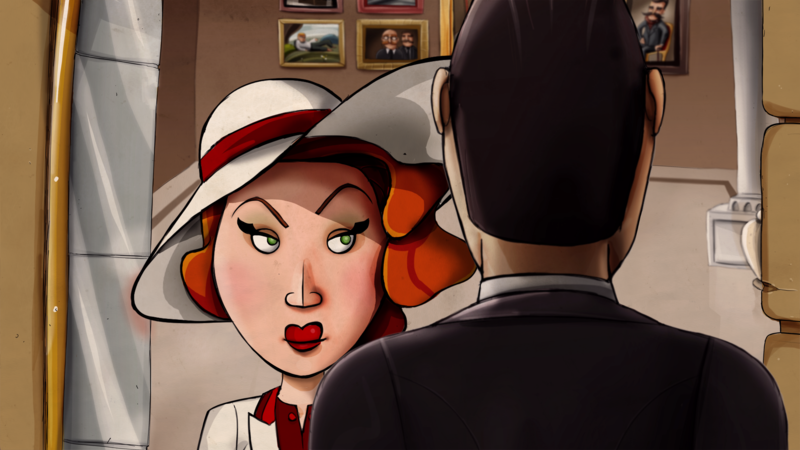 The game will be officially available for PC, MAC and iPad from 24th October 2013. Discover more info about this outstanding game!